A Warmonger, U.S. 41st President George H.W. 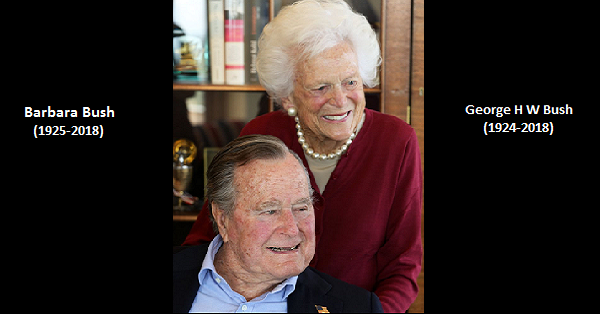 Bush, who was behind the destruction of prospering Iraq, died on Friday at 94, his family announced. Bush was a decorated war pilot and former CIA chief was a one-term President; he was denied a second term over a weak economy when he lost the 1992 election to upstart Democrat Bill Clinton.